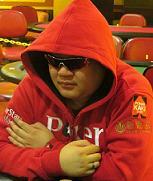 Poker Kaki Forum • View topic - LWPS Season 3 Confirmed! Re: LWPS Season 3 Confirmed! thats 10 weeks .. anyway, still a good news! Hey just wondering will I need to show my boarding pass when I'm registering for the tourney ? LWPS Satellites on Pokerstars tonight, in an hour's time at 10pm! 1 Seat GUARANTEED! LWPS Satellites is under which tab in Pokerstars?